Energy Matters is all about green energy – and green energy means a reduction in carbon dioxide emissions; a major culprit contributing to climate change. Our tree planting initiative was a program that we ran until 2015 where each subscription to our newsletter meant we would commit to planting a tree. Another great way to help deal with carbon dioxide emissions is by planting trees! In the 15 year period between 1980 and 1995, 10 percent of Africa’s forests were destroyed. The Energy Matters tree planting program assists communities not only in Africa to revegetate degraded lands, but also in Asia, India, the Philippines and South America. For each visitor to our site who signs up for the free Energy Matters Newsletter, we’ll sponsor a tree on their behalf. Since commencing this initiative, we have sponsored over 77,000 trees!. 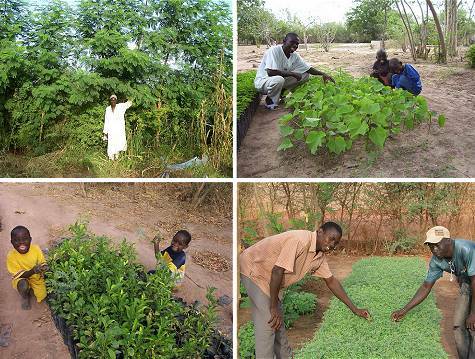 An example tree planting project is located in Willanen in Senegal, a country devastated by deforestation. The fast growing, permanent trees will help protect fragile lands and remove many tons of carbon dioxide from the atmosphere.